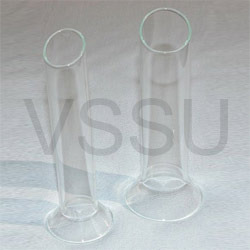 We are successfully instrumental in processing and supplying a broad assortment of Glass Vaginal Speculums. Our offered speculums are processed using premium grade borosilicate glass under the strict control of our quality experts. Provided products are admired by customers for various noteworthy features. To meet the diverse requirements of our esteemed customers, these products are available in different sizes and dimensions. Packaging Details Packed in export quality poly packing and finally packed in card boxes for safe handling.